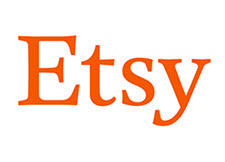 Etsy sellers urged management to reconsider their push for sellers to offer free shipping. The response came in reaction to an announcement by the company on Monday. "Over the next few months, we'll be sharing tips on collaborating with buyers on custom orders, delighting shoppers with special offers like free shipping, and sharing essential info to get great reviews." Etsy has been pushing sellers to offer free shipping, in part by giving listings with free shipping greater visibility in search results. In October, it kicked off a sweepstakes giving sellers who offered free shipping during the holiday shopping season a chance to win cash prizes and informed sellers that, "items that offer free shipping will have the chance to be featured in our holiday marketing to buyers." But it was clear by the comments from sellers in response to the post Etsy published on Monday that its push to get sellers to offer free shipping had struck a raw nerve among many. Some sellers were wondering who was going to pay for the "free shipping," especially now that Etsy also takes a commission on shipping charges. An international seller noted, "If I put my prices up to cover "free shipping," then customers in my own country will pay substantially more." "If the buyer orders two goods, he will pay double delivery," pointed out another concerned seller. Several sellers pointed out that free shipping did not work well for all sellers or all types of goods. Nevertheless, one seller of light-weight, customized commodity goods said offering "free shipping" was effective for him and indicated it would work for others - pasting his exact response in replies to several sellers. "Yes, it may seem "sneaky" in a way (to include the cost of shipping in his price), but it truly does boost your sales and customer satisfaction," he wrote. "They are willing to pay more for a product when they don't also have to pay shipping prices." His advice was not well received. But not everyone was caught up in the angst about free shipping. One seller thanked Etsy for the tips and insight and said, "I think people forget that you're trying to improve our businesses by suggesting things like free shipping. It's not a punishment! People can add to an item's price and get around free shipping, while still giving the customer the feeling they're getting a bargain by not having to pay for shipping." Etsy executives may feel pressured to promote free shipping in part because of Amazon's Handmade marketplace where some sellers use FBA to offer free and fast shipping to Prime members. But Etsy risks becoming a pale version of Amazon Handmade if it alienates sellers who offer unique items that are expensive to ship, leaving it offering only easy-to-produce, easy-to-ship items and lessening the appeal of the Etsy marketplace. One seller suggested that instead of focusing on getting Etsy sellers to offer free shipping, the company educate buyers on how much work goes into the products for sale on its marketplace. Product differentiation is a well known marketing strategy and has worked well for much of Etsy for much of its existence. "For me, Etsy has changed to a market where we now compete with each other far more, rather than competing with the rest of the retail world," the seller added. Update 1/10/19: We came across a post from a seller of vintage goods who explained her strategy for dealing with this issue. She offers free shipping along with a 15% discount for buyers who purchase 3 or more items. The idea is that she can include her cost of shipping in the item's price, but shoppers who purchase multiple items that she ships in one package won't overpay for shipping. It doesn't solve all of the problems described by sellers, but it's a strategy that could work for some and may be worth testing. Etsy must be DELISTED, as it does NOT fit the criteria for a viable, long lasting investment. I have a small 5 oz. package. To increase sales I offered free shipping. Better placement-NO. I was still behind those that were charging high shipping. The only visible items of mine that were on the first couple of pages were the ones that I paid for marketing promo. So etsy saying offer free shipping for better placement is not true. My sales on etsy in December were the lowest all year. Pricing doesn't seem to matter unless you check lowerest prices first. Etsy has become ebay copycat and nothing more. Amazon also charges a fee on the shipping as do many other venues. On eCRATER, if you sell something that might have a small FVF on it, there is no fee at all on the shipping, so you can actually charge what it costs to ship, which for me includes packaging, labels, and whatnot. Anytime I see a blurb where someone says we 'only charge actual postage' it makes me want to scream. That means somehow the whole shipping incidentals cost gets thrown into the cost of the item. It also makes it sound like the rest of us are cheating our customers, which we not doing. One of the other problems with free shipping is if for some reason they want to send the item back due to buyer's remorse, there is no upfront shipping cost to get reimbursed by the buyer. I tried free shipping for a while and I saw no benefit from it at all other than making less money. With the USPS going to zoned-rates for first-class packages, any free shipping is going to hurt the sellers, and, even the buyers. Sellers will either have to add a shipping price to their items or increase the item price. Instead of stepping on sellers by trying to force free shipping on them they should try getting more TRAFFIC to their seller's listings. THAT would help and it should be their main job! The only reason I have switched to free shipping is my prices are already computed high enough to allow for it, and to avoid that 5% fee. Yes, Etsy pushes sellers to offer free shipping, but so do most other shopping sites. True, eCrater may not but I have never sold anything on eCrater, so that does not count. I'll do what I think is necessary and the complaints come from sellers who apparently can't afford to raise their prices, which is nonsense. Selling is a business and you need to raise prices if you can't afford to sell. The coat that Etsy finger-wagged at me should ship for $7.25 cost over $20 to ship. I can't absorb that. The site can say what they want, but they're deregging listings that charge shipping or more than a tiny bit of shipping, and consequently, my business there has dropped to almost nothing. Funny - when I list the same items elsewhere, with my same honest shipping, they sell pretty quickly. So, Etsy can SAY what they want, it's what they DO that I pay attention to. @toolguy - If your wife has a total of seven listings in her eCrater store, it could take years for anyone to find her stuff. As I have indicated in previous posts on the subject of eCrater, from my experience s seller needs at least 100 listings to get sales. I have several thousand listings on eCrater, and I get sales every day. @Chicago48 - I wish you would stop making disparaging remarks about eCrater. I sell there and make money. So do Moonwishes and Rexford, and most likely many others who post here. I'm sorry if eCrater doesn't work for you, but there are a lot of people who are happy making sales there without having our businesses being micromanaged. I sell vintage sewing patterns, jewelry and pincushions on Etsy. Free shipping works for me. My customers like it and I am able to keep my pricing competitve within my business model. I do not get into race to the bottom price wars, that is not my business model. My customers appreciate not having the shipping surprise at checkout. Overall it works for me. "If the buyer orders two goods, he will pay double delivery,"
Thats not true, you can save the shipping settings where by shipping amount amount only charged on the first item. I offer free shipping domestic, and international shipping for overseas. I havent had any complaints, in fact since October my sales have increased by 45% to overseas buyers.